The 'Golden Trilobite Award' was retired as an award in 2018. This page is now archived. 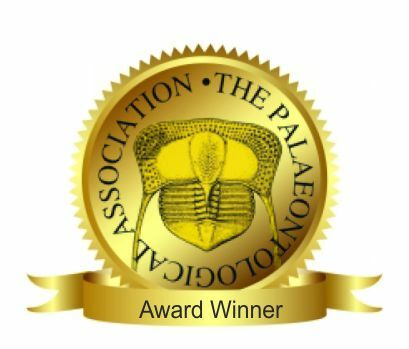 Golden Trilobite Awards are awarded at the discretion of Council for high quality amateur and institutional websites that promote the charitable aims of the Association. Nominations for websites, which should consist of a link to the site and a brief supporting case. They will be considered by Council at the October Council meeting The award comprises a “Golden Trilobite banner” and links on the Association website. Awards will be announced in the Newsletter and on the Association website. Past winner of the award can be seen on the Medal and Award Winners List page.